Get 5% additional discount for your first order. Use code POP5 at checkout. Congratulation! You just won a voucher for your next purchase. Your coupon has been mailed to you. Redeem it - have fun! You have already claimed coupon. Enter different email to get coupon. 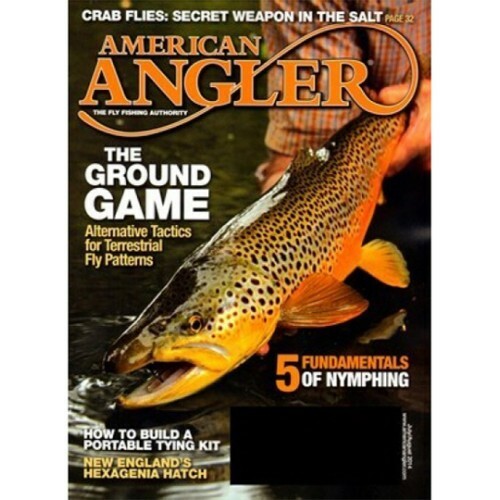 American Angler Magazine is geared towards fly fishing enthusiasts. 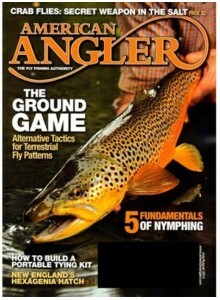 A magazine subscription to American Angler provides readers with extensive information about fly-fishing and fly-tying techniques. Money Back Guarantee: You may cancel your American Angler Magazine Subscription at any time for any reason and we will refund the balance value for the unfullfilled copies. 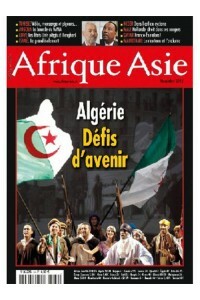 The first print issue will be delivered within 6-10 weeks. Free shipping within USA. No international delivery. At this special rate, you will save more than 33% off the cover price. Subscribe to American Angler Magazine today and read up. *Free Shipping + No Tax- Limited Time Offer. Subscribe Now! Option to send this magazine as a gift is available at checkout. 1.) When will I receive my first Issue of American Angler Magazine? American Angler Magazine is published 6 times a year, so first copy of American Angler magazine is expected to arrive in approximately 6-10 weeks. Your order is processed by magsstore.com within 24 hrs of receipt of the order and the money and all order details are shared with the respective publisher. The publishing company will then process your order, and fulfill the dispatch of each issue. 2.) How do I change my address for American Angler Magazine? To change your address, please write to us on customerservice@magsstore.com – please mention your American Angler magazine subscription order number, full name and new delivery address to get it updated quickly. 3.) How can I renew my subscription to American Angler Magazine through magsstore.com? 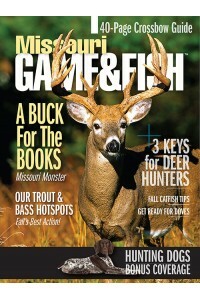 Yes, you can renew your subscription to American Angler magazine online at magsstore.com. Click on Renew Subscription option at right hand side top of the website, select your magazine and terms you want to subscribe to, place the order and it will be automatically added to your existing subscription. 4.) 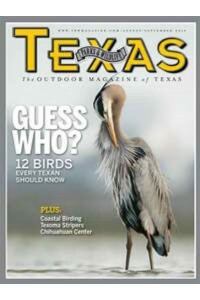 How do I know if my subscription order for American Angler Magazine has been placed? You receive an email from magsstore.com confirming your American Angler magazine order details on the same day as you have placed the order. We recommend subscribers to create an account with us so you can check status of subscription online with expiry and renew details. 5.) How can I gift a American Angler Magazine subscription to someone? Absolutely! All you have to do is specify the address of the person in the shipping details during the checkout process. We will send an electronic gift card on your behalf to this person letting him/her know about American Angler magazine subscription. Alternatively, you could also buy a voucher on the site and we will email it to the person on your behalf. They could then choose the magazine title they wish to subscribe. 6.) How can I cancel my American Angler Magazine subscription? Yes you can. You can cancel your American Angler magazine subscription anytime and we will refund you the balance amount for unfulfilled copies. Please write to us on customerservice@magsstore.com – please mention your order number, full name and delivery address to help us to get your order cancelled. It takes normally 3-4 days. 7.) Why did I receive a renewal notice in the mail, though I renewed my American Angler Magazine subscription already? You can receive the renewal notices from publisher 8 weeks or 16 weeks before your magazine subscription expires as they are sent automatically. But, you can ignore them if already renewed your subscription to American Angler magazine. 8.) How can I place a bulk order on magsstore.com? Yes, you can place a bulk order on the site. However, we suggest you contact us with your request and we will work out a solution that works as per your requirements and will be a better offer for you. 9.) I entered my payment details and place an order for American Angler Magazine – and all I got was a blank screen! I got charged but don’t have the order details. What now? We’re really sorry for the inconvenience. You will receive an email from us on the same day as you placed the order and your subscription to American Angler magazine will be processed. We suggest you do not try booking again as you may end up getting charged twice. You can also write to us on customerservice@magsstore.com. 10.) How Can I write a review on American Angler Magazine? It’s easy! Please go to the reviews tab above and you can submit your review there using your name and email. Register for our newsletter & stay in touch for all the latest offers, competitions, exclusive discounts and more. Magsstore (Magazine Subscriptions Store Online), holds the tag of being an ultimate online magazine store and presents an exceptional collection of more than two thousand magazines. The range Magsstore covers includes magazines on lifestyle & culture, home and garden, outdoor, automotive, business & finance, entertainment & music, collectibles, celebrity, health & fitness, food & beverages, fashion & beauty, guns & weapons, hunting & fishing, weddings & bridal name a few. We have a category to cater to the particular needs of all these readers from across the globe. The store has remained particular in keeping the best magazine deals for subscribers depending upon their particular requirements. In order to provide the best deals to the subscribers, Magsstore presents exceptional deals under its best offer flagship. The categories include offers under $10, between $10-$15 and bundle offer as well. The initiative behind creating our comprehensive store was to provide the latest feed to the readers under a single roof. With our magazine store, readers have the choice to browse through an extended category, preview the same and then place the order. We are dedicated to provide a world class reading experience to our readers. In addition to this, Magsstore has something to offer to publishers under "Advertise With Us" category. Under this category, a dedicated team creates an engaging ad campaign for promoting your product or the business, building the brand image and increasing the sales growth. Magsstore has a reader friendly discount magazine subscription that offers reading samples at discounted price. Moreover, readers can renew their subscriptions and also gift samples to their near and dear ones. 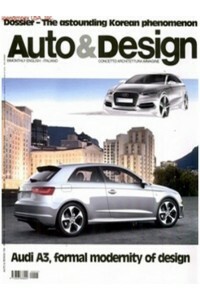 Additionally, picking your preference is a cakewalk as we have already assorted the magazines in different categories. Just click on your preferred category and get to choose from a bouquet of options assorted right there just for you! Magsstore has a section dedicated to the interests of men and women alike. They can shop by category or can browse through with any specific keyword. Our store is your virtual newsstand that has something unique to offer to everyone. Magsstore bring the joy of getting monthly and yearly subscriptions that is of course the icing on the cake for the readers. Visit our store and book your subscription that is worth having.